If you are not able to take some time off to do the deep cleaning of your home, you can always count on our company and our services. We are a renowned cleaning contractor with vast experience in the field of cleaning. We take great pride in our achievements and we cannot wait to prove to you how committed and focused we are on everything we do. It is the reason why we always work hard to suit our customers’ requirements and provide them with the outcome they hope for and if we are lucky enough – to exceed their expectations. Do not hesitate to choose our deep cleaning services and you will not regret your decision. The cleaners who we can send straight to your home are true professionals who are ready to go above and beyond for our customers. They will do all of the chores in the most proficient manner you can imagine till your home is fresh and cosy again. They will accentuate on the areas which are often neglected and will bring the sparkle back in your home. If you are intrigued by our offer, get in touch with us from anywhere in Tooting. If you need assistance with the deep cleaning which you cannot deal with on your own, make sure to turn to our company and book the amazing service we offer. The deep cleaning service of our company is specially created to help people get their homes looking pristine again without them having to sacrifice the little free time or energy they have. When we clean we pay attention to every speck of grime and bit of dust till they are completely removed from your home. Perfect cleanliness is what we aim for and what we always succeed in achieving. Forget about the elbow grease chores and place your trust in us. 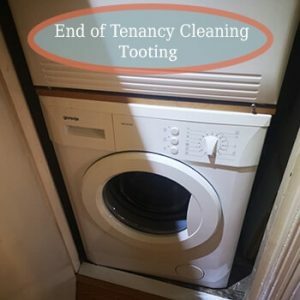 Our deep cleaning service is available in and around Tooting, SW17. The housekeepers who we collaborate with are true experts with rich experience in the field of deep cleaning. Each of them has attended introductory, educational classes to gain the skills and knowledge required for their performance. Plus, we equip them with top of the range cleaning products and tools to make sure that all grime and dust are gone. SW17 is the place where you can find us all week round, plus bank holidays. Call us now. Deep cleaning is a thorough, intensive cleaning process that has to be done at least once per year. If you want to be sure that you are surrounded by an absolute cleanliness but you do not have the time to spare for cleaning, know that you can always count on our company. 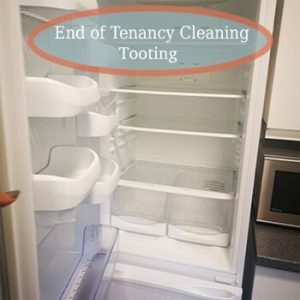 We have been operating in Tooting for many years now and we know how to clean every property to a high standard without our customers having to sacrifice any of their time. Plus, in terms of pricing, we offer some of the most economical rates in the area of Tooting. We invest in the latest technology and disinfectants to ensure your whole property is kept in pristine condition. It is of great importance to apply deep cleaning on a regular interval especially in the bathrooms and kitchens. If you are interested in our offer, you can always get in touch with us. We are there for you around the clock but we advise you to make your appointment with us as soon as possible. Once you have your appointment made, we will send a team of fully trained housekeepers straight to your property. They will make it sparkle.